At Sentinel Wealth Management, we aim to achieve the highest net-returns for our clients in a way that is most comfortable to them. We focus on the construction of efficient, fully diversified, risk-tailored portfolios that are allocated with our client’s best interests first. Our client’s portfolios are typically invested in a wide range of globally diversified, smart beta and traditional index-tracking exchange-traded funds (ETFs) that are selected based on an individual’s unique circumstances. These portfolios aim to provide exposure to thousands of underlying securities, providing excellent diversification in any given asset class. Additionally, through our strategic partnerships with world-class asset managers, we provide institutional-level access to numerous third-party money managers. 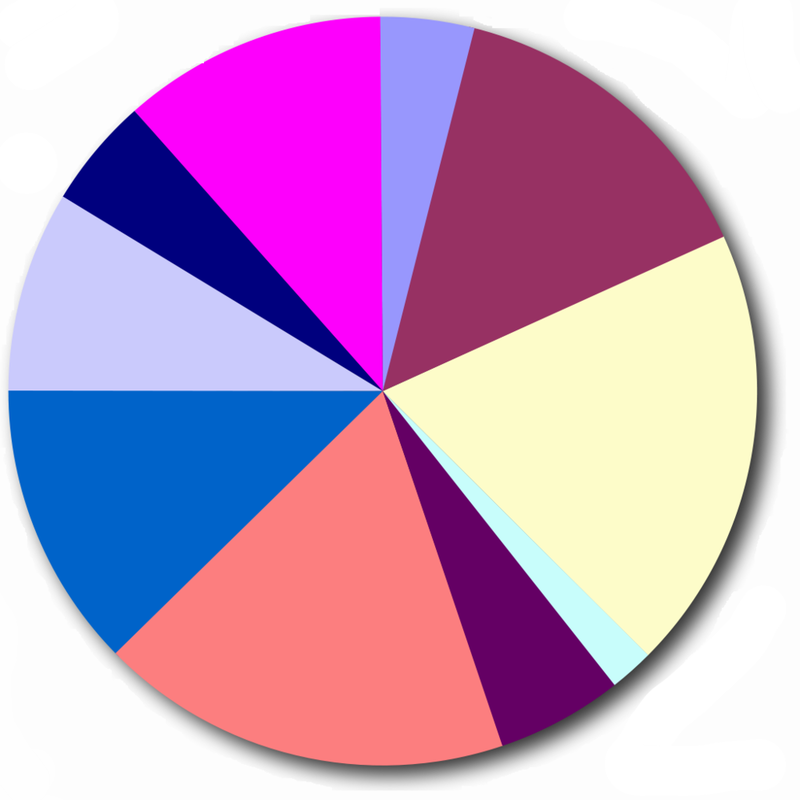 We will determine the appropriate portfolio asset allocation and strategies based on an individual’s circumstances. Our investment philosophy is to help clients achieve superior performance on a risk-adjusted, after-tax, and after-fee basis. To accomplish this goal, we manage client portfolios and their goals individually, and implement technology to automate rebalancing, tax loss harvesting, and goal progress tracking. Furthermore, we focus on understanding our client’s needs and expectations, placing considerable emphasis on risk analytics and portfolio allocation. By providing our clients with a thorough understanding of their portfolios and what to expect moving forward, we feel we can help our clients better achieve their financial goals. We believe that above all else, transparency is paramount in dealing with client investment decisions. Our fees are always clearly defined and predetermined, and our advisors will never receive additional compensation in the form of commissions. Commission transparency is critical because a commission-based advisor may make product recommendations which may not be the best decision for the client in order to generate a larger commission. Advice with existing conflicts of interests may cost the client substantially over the long-run in the form of excessive sales charges, commissions, additional fund expenses, and the opportunity cost presented by poor performance. Again, advisors at Sentinel Wealth Management never receive additional compensation for primary or alternative financial recommendations. Our advisors are only compensated by your predetermined financial planning or investment management fee. Once an investment plan has been established, the client and advisor will agree upon a Personalized Investment Policy. This policy will state the guidelines to which the advisor will invest the client’s assets. Often, this will illustrate a portfolio allocation providing exposure to thousands of securities in numerous asset classes and market sectors. We will often use exchange traded funds (ETFs) to facilitate this diversified investment plan. ETFs can be beneficial because their expenses are often a fraction of those of mutual funds. By working with our clients to quantitatively pinpoint risk and return expectations, we are able to provide portfolio management and financial planning services that are tailored to your unique circumstances. You can expect the recommendations made to reach your goals to be tailored to your needs, not the sales goals of a large brokerage house. We believe that by working diligently to understand you as an individual, that we can provide financial strategies, tools, and services that help you reach your financial goals in a way that is most comfortable to you. Understanding the risks that you are exposed to and the level of exposure to these risks that you are are comfortable with, is a critical part of the financial planning process. At Sentinel Wealth Management, we will work with you every step of the way to ensure that you are satisfied and comfortable with your financial plan no matter what lies ahead. Asset allocation is a widely used financial strategy that you may utilize to construct an investment portfolio. Asset allocation is a focus on broad categories of investments, mixing them together in the right proportion based on the market, your financial goals, the amount of time to invest, and risk tolerance. Although past performance is no guarantee of future results, stocks have historically provided a higher average annual rate of return than other investments, including bonds and cash alternatives. However, stocks are generally more volatile than bonds or cash alternatives. Investing in stocks may be appropriate if your investment goals are long-term. Historically less volatile than stocks, bonds do not provide as much opportunity for growth as stocks do. They are sensitive to interest rate changes; when interest rates rise, bond values tend to fall, and when interest rates fall, bond values tend to rise. As a result, bonds redeemed prior to maturity may be worth more or less than their original cost. Because bonds typically offer fixed interest payments at regular intervals, they may be appropriate if you want regular income from your investments. Cash alternatives (or short-term instruments) offer a lower potential for growth than other types of assets but are the least volatile. They are subject to inflation risk, the chance that returns won't outpace rising prices. They provide easier access to funds than longer-term investments, and may be appropriate for investment goals that are short-term. Not only can you diversify asset classes by purchasing stocks, bonds, and cash alternatives; you may also choose to diversify within an asset class. As an example, when investing in stocks, you can choose to invest in large companies that may trend as a lower risk compared to smaller sized companies. Alternately, you could choose to divide your investment assets according to style, investing either towards growth or value. Though the possible investment choices are virtually limitless, your objective is always the same: to diversify by choosing investments that balance risk and reward within your investment portfolio. Advocates of passive investing (indexing) believe that the best way to capitalize on market returns is by utilizing low-cost market-tracking index investments. The passive investing approach is based on the concept of the efficient market, in which all investors have access to all company information and securities; thus, it's near impossible to gain an advantage over other investors. As new information becomes available, market prices adjust as a response in order to reflect a security's true market value. It is said that market efficiency means reducing investment costs is the key to improving net returns. Indexing does help with cost efficiency. Due to the fact that the investment simply reflects an index, no research is required for selecting securities. Additionally, trading is relatively infrequent (securities are bought or sold when the index changes) thus, trading costs are often lower. Additionally, infrequent trading generates fewer capital gains distributions, which results in a higher tax efficiency. Virtually every investment has at least some type of risk associated with it. The stock market rises and falls. An increase in interest rates may unexpectedly cause a decline in the bond market. No matter what you choose to invest your assets in, risk is something you must always consider. One key to a successful investment portfolio is mitigating risks while maintaining potential for returns on your investments. One effective way to grow your investment risk is to diversify your assets. Diversification is an investment strategy used by mitigating risks which is done by spreading your money across a variety of investments such as stocks, bonds, real estate, and cash alternatives; however, it should be noted that diversification does not guarantee a profit or protection against associated risks. Sentinel Wealth Management’s main philosophy with diversification is simply: "Don't put all your eggs in one basket." Dispersing the risk among a number of different investment categories or different industries can offset a loss from an investment. Similarly, the power of diversification may balance your returns over a period of time. While one investment increases, it will offset the decline of another. This allows your investment portfolio to ride out market fluctuations, providing steady performance through various economic conditions. Ride out market instability in the long-term with diversification. Through our partnership with institutional money management programs, we provide you with access to a leading brokerage platform and data service. Further, we are able to connect our clients with world-class asset managers that provide institutional-level investment management strategies not typically available to retail clients. Through the use of our advanced portfolio management technology, we are able to provide an financial analysis of a client’s current holdings and consider any investment improvements that can be made. Further, we pair our portfolio analytics technology with advanced financial planning software. This software takes the portfolio allocation determined by your Personal Investment Policy Statement and illustrates its probable performance in the context of your Ongoing Financial Plan.